Personal Branding is about honing your skills, narrowing your focus, and getting clear on what you’re passionate about. It is not just about you being better than your competition. It’s about getting your prospects to choose you as the ONLY solution to their problem. Creates a sense of individuality and uniqueness in the marketplace so your clients are able to easily differentiate your company from your competitors. Be known for who you are as a person and what you stand for. Your brand is a reflection of who you are, your opinions, values, and beliefs that are visibly expressed by what you say and do, and how you do it. 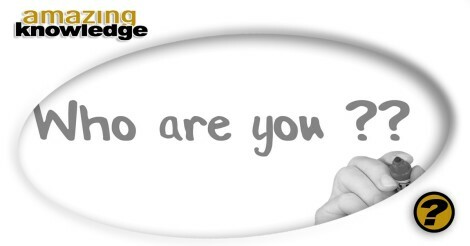 Take control of your identity and influence the perception others will have about you and the services you offer. Effortlessly attract clients and opportunities. You will position yourself in the mind of your marketplace as THE service provider of choice to dominate your market and command higher fees – work less and make more! Become a celebrity in your area of specialty. Gain name recognition in your area of expertise where it counts the most – in your customer’s mind. Make a lasting impression and be super-rewarded for your individuality. This entry was posted	on Friday, January 25th, 2019 at 5:13 pm	and is filed under Knowledgebase. You can follow any responses to this entry through the RSS 2.0 feed. You can skip to the end and leave a response. Pinging is currently not allowed.